“Beware of false prophets, who come to you in sheep's clothing but inwardly are ravenous wolves. You will recognize them by their fruits... So, every healthy tree bears good fruit, but the diseased tree bears bad fruit…Thus you will recognize them by their fruits” (Matthew 7:15-20). I begin this blog by apologising to all my Nigerian brothers and sisters for its title. At first sight it is rather offensive, but I hope that as you read on you will see why I elected to still use it as a title. As nations or tribes or social groupings we take on a certain characteristic that is not true about each person in the group but which we come to be identified with. Hence, Paul could write, “One of the Cretans, a prophet of their own, said, ‘Cretans are always liars, evil beasts, lazy gluttons.’ This testimony is true. Therefore rebuke them sharply, that they may be sound in the faith” (Titus 1:12-13). In the same way, we tend to (rightly or wrongly) identify Americans with arrogance, Kenyans with marathon running prowess, West Africans with fraudulent activities, Afrikaners with racism, etc. I have just returned from a consultative meeting in South Africa where the first day was spent surveying the spiritual state of the countries in the southern African sub-region. Central to all this was the state of evangelicalism in all these countries. 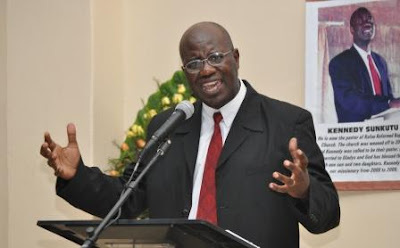 Nation after nation reported on the arrival of “Nigerian religious junk” that was changing the landscape of what there once was of evangelicalism. One or two of the countries were blessed exceptions. Evidently, this junk originated from mega-churches in the USA and then found ready soil in West Africa, and especially in Nigeria. Having given it an African flavour, it is now being exported across Africa at a phenomenal rate. I feel very sad to write about this, but by “Nigerian religious junk” I mean the phenomenon of churches that are personal-to-holder. They exalt the personality of their founding father, who is still alive somewhere in Nigeria (or elsewhere) and is treated with the aura of a state president or paramount chief. It does not matter which country you go to, the bill boards of these churches do not have the faces of the local pastors of the congregations in those towns but of the founding father in Nigeria—or wherever he has since relocated. It is all about image and power. This “man of God” claims to hear the voice of God and proceeds to minister to you accordingly. If you do not obey him you are resisting the ministry of God into your life. So, the churches are often called “ministries” rather than churches. And to make them even more impressive, the term “international” is often added to their name. The Africanisation of this religious junk is primarily in the way it has been made to appeal to African spirituality. 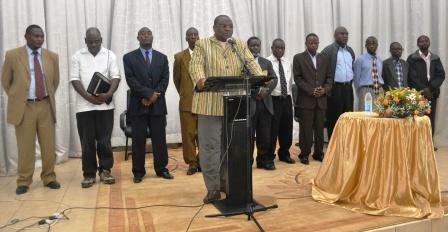 The pastor is the modern witchdoctor calling all and sundry to come to him for “deliverance”. Just as the witchdoctor appealed to us by inviting us to see him for spiritual protection or when we were struggling with bad luck, childlessness, joblessness, illness, failure to attract a suitor for marriage or to rise in a job or get a contract, etc., these pastors do precisely the same thing. So-called prophetic utterances are made which explain why all this is happening, holy water or oil is prayed over and dispensed, and some money is extracted from the persons seeking help. Thus their churches attract thousands of people who are there for purely selfish reasons. The motivating factor is not reconciliation with God through Christ but rather “deliverance” from perceived evil and to be blessed through the supernatural powers that “the man of God” possesses. Let’s face it: this is our African traditional religions coming into the church through the back door. The self-centredness of all this is seen in the worship. Churches are being turned into entertainment centres instead of edification centres. People come to church to be entertained, healed and blessed. The fact that professionals, who engage their brains when working with their hands five to six days a week, stop thinking and just dance and laugh in worship is extremely sad, in the light of the demand of God that we are to love him with all our hearts, minds, souls and strength. 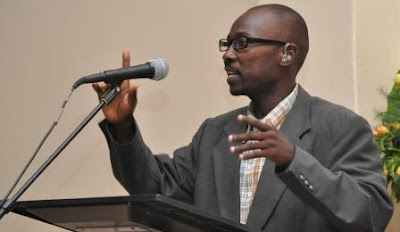 It has been the failure of Christians to think through the implications of their Christian faith on the whole of life that has left Africa filled with Christian churches and lack of development at the same time. Surely, if these professionals were thinking they would have added up one-plus-one by now and seen why their pastors have become stinking rich. It is not their faith but the money of their congregants, whom they cheat with promises, that makes them buy expensive cars and clothes and put up mansions. If one thousand individuals are “sowing the seed” every week to be blessed by the man of God, of course the man of God will get very rich while they will get poorer. That is simple common sense. 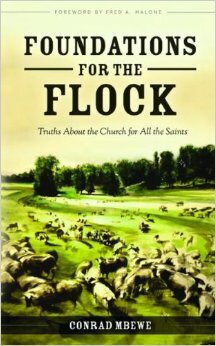 The result of this phenomenon of personal-to-holder churches has been the selective nature of church discipline. You do not discipline a Sangoma (i.e. witchdoctor)—or a chief! It is a known fact, even among the church members, that a number of these pastors have serious moral problems. However, “you do not touch the Lord’s anointed” and so they are not disciplined, even when they have impregnated girls in the church. 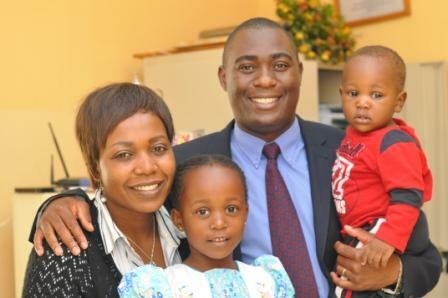 One such anointed one in Zambia changed wives three times through divorce in less than six months and still remains the apostle of his church. To be fair, this man is a Zambian, but he has imbibed this personal-to-holder phenomenon from Nigeria. There must be accountability from everyone in the church—including the church pastor. Yet another characteristic of this phenomenon which is particularly African is the craze for titles. We Africans love titles! Once upon a time, evangelical pastors were content to simply be called pastors. Terms like “bishop” were left to those who had an Episcopalian system of church government, which was a formal structure that rose to national and global level. Alas, that has now changed! With the advent of this Nigerian religious junk, it is titles galore! You now have bishops, arch-bishops, prophets, apostles, chief apostles, etc. Some are not even content with that and so have combinations like, “chief apostle prophet doctor so-and-so.” This is certainly very different from the teaching and personal lifestyle of the Lord Jesus Christ whom they claim to serve. Many of these churches have since been discovered to be nothing more than fund-raising outfits, with sole proprietorship maintained by the pastor and his wife. The pattern seems to be: start a church and then milk the congregation. The pastors basically prey on the vulnerable and gullible. They are crooks and conmen. 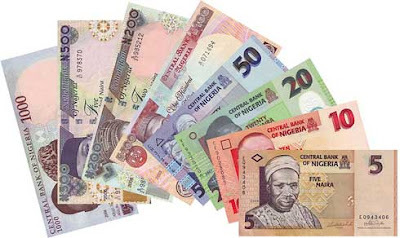 In a number of the southern African countries represented at the consultation, governments have sent these pastors packing upon finding undeniable proof that large stashes of money were being milked out of their citizens and being shipped to West Africa. This has made these governments very suspicious of anyone coming from any other African country as a missionary into their country. They now think that all African missionaries are just mercenaries. Yet, the saddest part of all this has been the loss of the gospel. Once upon a time, you could go to any church that purported to be evangelical and once you survived what was called worship, you would hear a sermon that finally pointed you to Christ and him crucified for pardon from sin. That is now largely an exception, and is as rare as my great grandfather’s teeth. What you hear now are calls for “deliverance”, and you experience this by coming forward to be prayed for. Inevitably, once you lose the gospel, you lose true spirituality and morality. Christianity becomes a thin veneer of respectability but inside there is total corruption and decay. The church becomes a wardrobe full of skeletons. Or, to borrow a more biblical expression, the church is filled with white-washed tombs. In this blog I have avoided naming names. This is because the consultation I have just come from did not name names. However, all I can say is, “If the hat fits you, put it on!” Anyone who has eyes to see and ears to hear knows what I am talking about. Let me end by once again apologising to any genuine and sincere Nigerian pastors who distance themselves from all this junk. 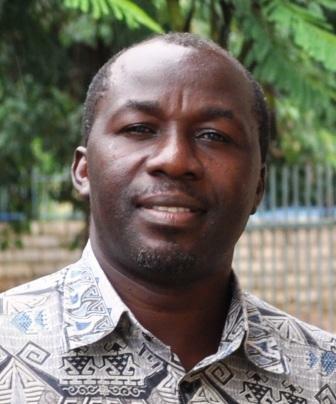 Just as I know a number of sweet American folks who are very humble, Kenyans who cannot run halfway around a football ground, and Afrikaners who are colour blind, I am sure there must be many West African pastors—and Nigerians for that matter—who will have nothing to do with this spiritual corruption. I only wish they were more vocal in condemning this religious junk being exported from their country! 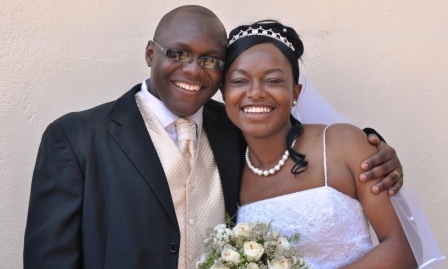 Last Sunday (13th February 2011), Chipita Sibale was ordained as a pastor at Kabwata Baptist Church. It was a most joyful and tearful Sunday. I guess the tears were tears of joy! This brings the eldership at KBC to seven men, with two of us being full-time. I thought of dedicating this post to this event, together with putting the extra photos on the slide show next to the blog for a few days. Pardon the ego-elevating reference to me and my ministry. Be assured that I disagree with him completely (smile!). But that is what Chipita—oops, Pastor Sibale—thinks and hiding it from you will not change anything! When and how did you first sense God’s call to the ministry? I sensed the call to the ministry way back in the year 2000. This was three years after I got saved. After my conversion I had this burning desire to serve God and share the gospel with friends. I even got myself a nickname in my neighbourhood as “Pastor”. I spoke to different people who advise me to first do other studies when I finish school and if I still felt that God was calling me then I could go into the ministry. This sense of call grew even more when Trinity Baptist Church in Kitwe called their first pastor (Isaac Makashinyi). In my eyes he was a young man with a brilliant mind wasting his time as a preacher of God’s Word when he could be a director or a boss in some big firm. This made me realize that preaching was more than just a career. I finished school in 2002 and moved to Lusaka for tertiary education. I studied accounts and worked for three different firms (Geraldine’s, Shingalani Logistics Company, and Mental Health User Network of Zambia). It was my last work place that caused me to really and seriously think of the ministry. At Mental Health I worked with people, helping them start businesses and also writing business proposals for them. I realised as never before that men need more than financial help. This thought was sealed during our second in-house missions conference at KBC when Pastor Philip Hunt preached on “What is your philosophy of ministry?” This message kept ringing in my mind until my 25th birthday celebrations when I challenged myself to move on. There will never come a more perfect time to serve God than now. That was how I finally quit my job to go into full time ministry. What are some of the major means that God has used to prepare you for the work of ministry before you became an intern at KBC? The preparation started back in Kitwe. I was surrounded by good Christians (Pastor Kayombo, Kasango Kayombo, Joseph Phiri, Macarthur Mudenda, etc). These men helped me in my spiritual growth and, from time to time, gave me an opportunity to share God’s Word at youth meetings. 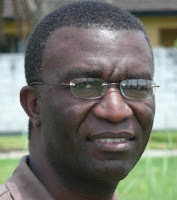 Kasango Kayombo would often go with me for outreach at a nearby college (ZIBSIP). We later started some outreach work at Kitwe Teachers Training College and at Kitwe Central Hospital School of Nursing. I continued with the outreach work and even started a Bible study with some of the students, in conjunction with Kitwe Chapel. 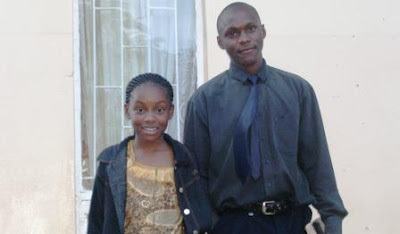 I was also involved in organising the Copperbelt Annual Reformed Baptist Youth Conference (CARBYC, now called NARBYC). I was the youngest committee member. All these events shaped me in my evangelism and organisational skills. When I moved to Lusaka I thought that, since KBC was a big church, I would relax and just do background work. I arrived in Lusaka just in time for the 2003 youth camp and I was immediately given the responsibility of helping to put campers in groups. Soon after that I was asked to join the fellowship department of the Junior Youth Ministry even before I joined membership! After attending KBC for some time I began helping with ushering on Sundays since I used to come to church early and later was appointed Chief Usher. I soon became the chairman of Junior Youth Ministry. I must admit that during my time I had a good committee (Mwindula, Masiliso, Sepiso, Anne, and Henry). It was during this time that the Intermediate Youth Ministry was born because the ministry grew and the elders thought it wise to divide the ministry further. 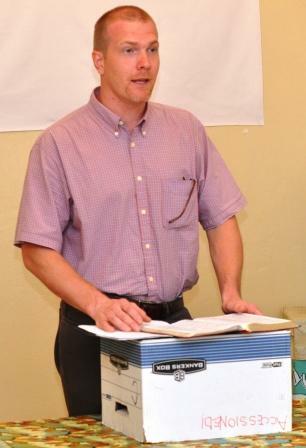 I have also been actively involved in the Show Outreach Ministry, which reaches out to the Annual Agricultural and Commercial Show every year in August. So, it has been these activities in the church that have really been used of God to prepare me for the work of ministry. You have finished one and half years of internship at KBC. 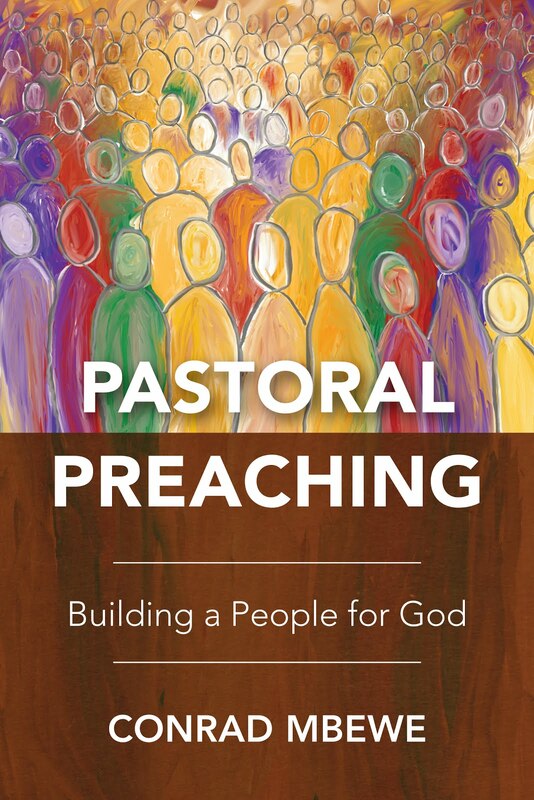 In which ways did you find this helpful in preparing you for the pastoral ministry? The internship at KBC has been very helpful. Firstly, working closely with Pastor Mbewe has been helpful and a great challenge. When I came on internship I was the only intern and so I was involved in all the thirteen ministries in the church. KBC also has a number of mission stations and I was often sent to go and preach there and to even help with their outreach programs. 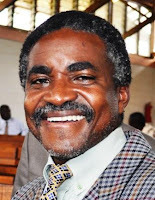 Pastor Mbewe also conducts monthly sermon preparation meetings with a number of church members who are involved in preaching at the many preaching points of the church and elsewhere. I found these to be very helpful. When it was my turn to prepare the sermon I would do so and go through it with him. This personalised help was very beneficial in making me see where I needed to improve. 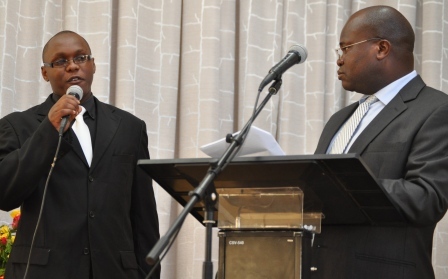 Pastor Mbewe also took time to share with me his experience as a pastor. During this period I have had an opportunity to look at his life as a pastor, a husband, and a father. My conclusion is that he is the same person everywhere. 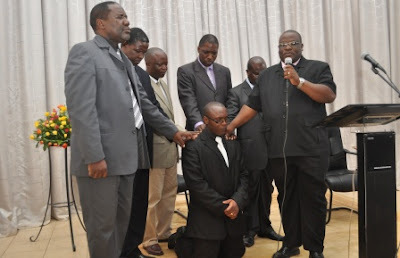 And, as you know, Pastor Mbewe is a very organised man. So, I have had to learn to work with a daily program and in the order of importance. The issue of your age has come up a few times when people have discussed your joining the eldership. How are you handling that? The issue of age is still a challenge and will be for some time to come. The way am handling it is, firstly, by knowing that the work at hand is God’s work and the Bible is the standard. If, for any reason, I don’t conducted myself in a manner worthy of my calling, the Bible will be used as the standard against me. The authority given me is not because of my age but because of my office, and God demands that the office I am in should be respected both by myself in the way I conduct myself and by the rest of the church in the way they relate to me. Of course, I will respect the members who are older than me because of their age and, I trust, they will respect me because of my office. The sermon preached during my ordination was very instructive. It spelt out the need for me to set an example in my life and conduct. This is what will make me win the respect and the favour of the members of the church. How best can we pray for you? Pray that I may grow in the grace of the Lord Jesus Christ. Pray that I may be a man after God’s own heart. Pray that I may love my wife as Christ loved the church. Pray for me for wisdom, grace, and love, as I related with others. Pray that I may be equal to the task, that I may settle quickly in the work, and do my work well. Pray that as I work with the other elders we will work well together as a team. Pray that God will own my labours and enable me to bring forth much fruit. Pray that God will have a tight rein on my youthfulness so that it may not hinder my work. Pray that God will be with me in the work. “And God said to them, ‘Be fruitful and multiply and fill the earth and subdue it and have dominion over the fish of the sea and over the birds of the heavens and over every living thing that moves on the earth’” (Genesis 1:28). 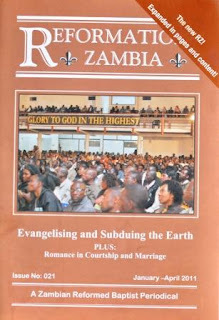 This is the theme of issue 21 (January-April 2011) of our latest Reformation Zambia magazine. 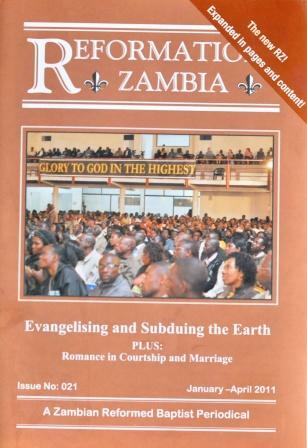 Reformation Zambia is our local Christian magazine as Reformed Baptists in Zambia and is tailor-made for “serious” readers. Bruce Button opens up the cultural mandate. He warns us against a “mindset that is prevalent amongst Christians today. Being truly spiritual means devoting yourself to “things above”, to reading the Bible and praying, to church activities, and to evangelism. However, secular activities like work, politics, the arts, and sport, are just what they are called—secular—and therefore of secondary importance or doubtful value for the zealous believer. Even the Christian who serves his employers with integrity does so more out of a sense of duty than out of a conviction that the work has any intrinsic value in God’s sight. The physical world and all the pursuits that belong to it are far less valuable than the spiritual world (it is, after all, passing away), and the human society that surrounds us is so evidently sold into sin. Therefore, if we want to maintain our purity before God we must strive to avoid the physical world and unregenerate human society. We may be obliged to make a daily foray into enemy territory when we go to work or school, but we breathe a sigh of relief at the end of the day when we can retreat to the safety of our family or home fellowship group.” In this article, Bruce challenges this mindset and appeals to all of us to be biblical in how we handle God’s world. 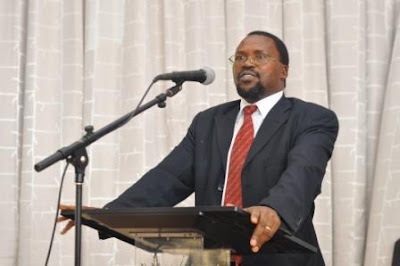 Kabwe Kabwe deals with the evangelistic mandate. He says, “The great commission is a subject that demands a practical response from all of us who profess to be Christians. It is a subject that is more taught about, preached and discussed, than it is complied with. The cultural mandate on the other hand is somewhat inadvertently complied with (albeit in an extremely limited way in Africa) but little thought about from a biblical perspective. Via an exposition of Matt 28:19–20, and its implications, this article endeavours to illustrate how the great commission relates to the cultural mandate. Although these two mandates can stand independently of each other, they are not at all completely divorced from each other. As a matter of fact they are just different sides of the same coin!” We have often read about the Great Commission independent of the cultural mandate, hence this article brings these two together in a refreshing way. Choolwe Mwetwa shows us the challenges we must overcome in order for us to undertake the cultural made in Africa today. He observes, “The West and their disciples (such as Japan) have largely used science to subdue nature. The depths of the earth and sea have been foraged for value addition to life. The lower heavens are being probed constantly, with the moon as guinea pig. On earth, engineering, architectural, and medical milestones are being reached—all in a bid to maximise human comfort, pride, and pleasure. In addition to this, the developed world, largely inspired by capitalistic principles and rewarded by a Bible-based work-ethic has laboured to create the money needed to bring about this progress. “Africa, although possessing great potential, continues to lag behind. The one thing she seems to have understood clearly is God’s command to ‘be fruitful and multiply and fill the earth.’ Fruitful we surely have been. There is no shortage of pregnant women checking in at hospitals to keep our midwives employed and to build our communities and our capacity to be socialists. We are not doing badly in filling the earth. "The problem is that this is where we seem to have stopped listening. Even though God further said, ‘and subdue it [the earth] and have dominion over [it]...’ we have been indifferent to this aspect of the command. Needless to say, the price paid for this lapse is colossal. Never can any people get away with not meticulously heeding divine counsel. The numerous problems facing our continent are a direct consequence of this omission. But why, if I may ask, have Africans not excelled in the important duty of subduing the earth? May I suggest four culture-related reasons?” The rest of the article is an exposition of these four reasons. New to Reformation Zambia are two columns which will be found in every issue henceforth. One of the columns (Marriage & Family Life) is meant for Christian couples and families, while the other (Young at Heart) is meant for Christian young adults. In this issue, we are dealing with the subject of romance in both columns—in view of Valentine’s Day which occurs on 14 February. We hope that these two columns will make this magazine attractive to those who assume that any “heavy” reading must be only for pastors and church elders. As usual, Reformation Zambia ends with news items. These cover major events that took place among Reformed Baptist churches in Zambia (and one covers an event within Africa) between September and December 2010. In this way, we are able to pray for God to make these events truly fruitful among us. “And Jesus came and said to them, ‘All authority in heaven and on earth has been given to me. Go therefore and make disciples of all nations, baptizing them in the name of the Father and of the Son and of the Holy Spirit, teaching them to observe all that I have commanded you. And behold, I am with you always, to the end of the age.’” (Matthew 28:18-20). “Why did we not start doing this earlier?” This is the thought that gripped me as our 2011 in-house missions conference drew to an end on Sunday 30th January, 2011. The missions conference, as usual, was preceded by our missionaries prayer retreat from Monday 24th to Wednesday 26th January. This is a time when I meet with all our church’s missionaries (and our church’s interns) for two full days of devotional exercises and prayer. 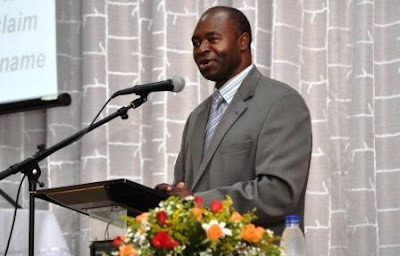 This year, we were challenged from God’s Word by James Williamson, an American missionary who has come to help us with the training of pastors. He spoke on the terminus of church-planting; namely, the production of self-governing, self-supporting, and self-propagating churches. The challenge could be sensed as the missionaries discussed and prayed after each sermon. This is our dream—and we trust that, because it is a biblical dream, God will bring it to pass. We want to see more and more self-governing, self-supporting, and self-propagating churches being planted through our missions enterprise. From Thursday 27th to Sunday 30th January, we had the missions conference. The experience is indescribable. You have to be there to really appreciate this. 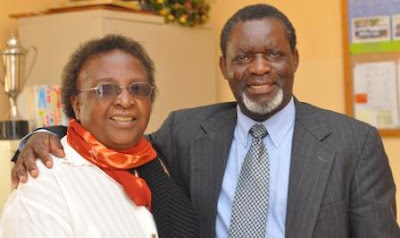 The theme of the conference was, “The challenges and joys of indigenous missions work.” Our two preachers were two of our former missionaries, Pastors Kennedy Sunkutu and Lichawa Thole. What a joy it was to hear these men speak about their years in the trenches as they planted their churches from scratch. They talked about the years of loneliness and discouragements. They also talked about the years of blessings and joy. They preached from Paul’s epistle to the Philippians and appealed to our consciences to take missions work seriously. Each day we also had four PowerPoint presentation from different mission stations. It was encouraging to see the progress in attendance, conversions and baptisms, in land acquisitions, in new buildings going up, in new leaders being groomed, etc. 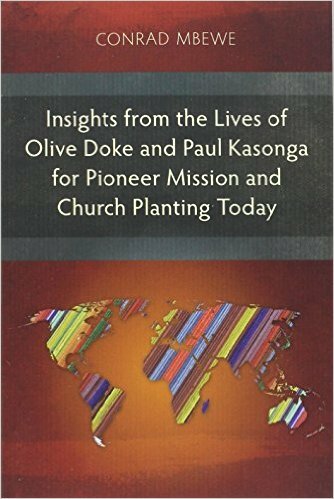 A few of the church-plants reported that they were already beginning to plant other churches even before they are weaned. The missions conference always ends with what we call “The Grand Announcement”, where we read out what the church’s membership have given or pledged towards our one-off missions project and also our monthly missions giving (over and above the tithes and offerings). This takes place on Sunday after the morning service. We have lunch together on the church grounds and then return to the church auditorium for this closing session. This year, our goal for the one-off missions project funding was to raise money for three mission station: Two are seeking to buy land, while the third wants to roof their building. Let me say that the Grand Announcement is always an encouragement and this year was no exception. It exceeded the funds we aimed to raise as our contribution towards those three projects. Praise the Lord for the sacrificial generosity of his people! While the missions conference was taking place in the evenings, the missionaries’ wives were also having workshops during the day, conducted by our women’s ministry. These workshops were meant to better equip them to assist their husbands in the arduous work of church planting. Church members also donated clothes and other household goods especially for the more rural missionaries. They needed a truck to help them ferry these goods to the bus station on the day of their departure. Looking at all this, I asked myself, “Why did we not start doing this earlier?” It has really made our missions work a live issue to our church members. 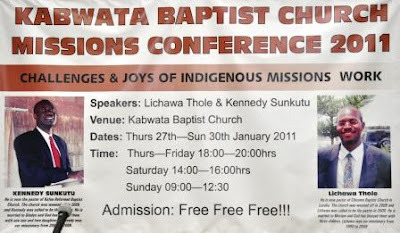 Come to think of it, how did KBC commence these in-house missions conferences? You can be sure it was not due to hearing a voice from heaven. It was as a result of my itinerant preaching ministry. I recall preaching at a missions conference at the Bible Church of Little Rock, in Arkansas, USA. For some reason, it did not click that we could do something like this, though I was impressed by what I saw and heard while I was there. The penny only dropped when I preached at a missions conference at the Brackenhurst Baptist Church in South Africa. I guess because this time it was being done on African soil, it hit me that we could also do this. The in-house missions conference has done a lot for us. To begin with, the fact that our missionaries come back home once a year, enables our members to connect with them face-to-face. 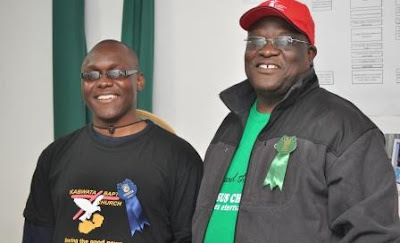 This is possible because they are all either within Zambia or in a neighbouring country. Each missionary is connected to one of our home groups. So, when they return, they are hosted by that home group and on one of the evenings, they have dinner together and the missionary shares in more detail the challenges he is facing in the field. This makes their relationship with the group more meaningful, as the missionary also goes back with fresh memories of his immediate prayer partners. Then the Powerpoint presentations make the work that we are supporting so vivid. To see the missionaries doing visitation, preaching in classrooms or grass-thatched meeting places or partly completed church auditoriums, baptizing new converts in streams or baptisteries, organizing various kinds of evangelistic meetings, etc, is a real eye opener. Members are also encouraged as they see their fellow church members who visited the mission field on some of the pictures. This makes supporting missions work much more meaningful and fuels prayer.